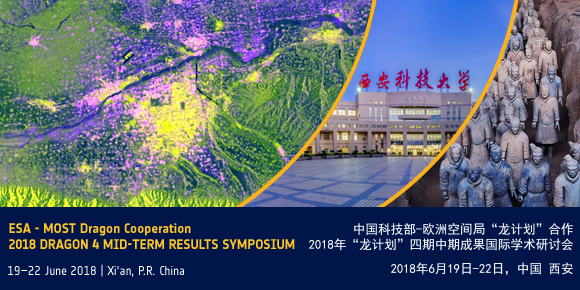 Following the successful 2017 Dragon 4 Cooperation Symposium that was held in Copenhagen, Denmark, the 2018 Dragon 4 Mid-term Results Symposium will take place in Xi’an, P.R. China from 19 to 22 June 2018 and will be hosted by Xi’an University of Science and Technology & Chang'an University. The official language of the workshop is English. No participation fees will be charged.